The API steel pipe has been widely used in any fields of productions. Alloy pipe is one of the most widely used API steel pipe. Alloy steel pipe are used to convey all kinds of fluid, such as oil, natural gas, coal gas, water. 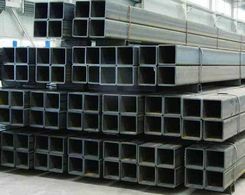 Alloy steel pipes are widely used in structural parts and mechanical parts. The circular pipes, which are composed of alloy steel pipe, are characterized for simplifying producing processes, saving working hours and improving the utilization rate of material. Rolling bearing ring and Jack, for example, alloy pipe has been widely used in manufacturing processing. Even for all kinds of conventional weapons, such as gun barrel and Barrel, alloy steel is indispensable material; alloy pipe is divided into the round pipe and the deformed pipe. 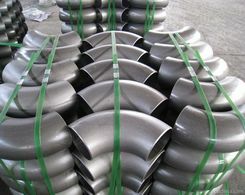 The circular pipes are more widely used to convey fluid than the deformed pipe, because when given the equal circumference, round has the largest area than other shapes. In addition, when circular section is subjected to internal or external radial stress, the stress is forced uniform. 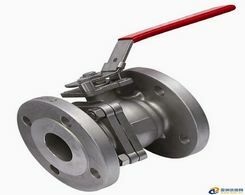 Therefore, most of the alloy pipes are tube. Alloy steel tubes at state of ferrite microstructure, which are containing chromium of 11%~30%, are consisted of centered cubic crystal structure. This kind of steel usually doesn't contain nickel, and sometimes also contain a small amount of Mo, Ti, Nb and other elements. They are characterized of high coefficient of thermal conductivity, small coefficient of expansion, good oxidation resistance, resistance to stress corrosion and many excellent characteristics and are mostly used in the manufacture of air resistance, water vapor, water and oxidizing acid corrosion parts. Disadvantages of poor plasticity, post weld ductility and corrosion resistance decreasing have limited its application. Refining technology (AOD or VOD) application made alloy steel tube widely used, for its advantages of greatly reducing the carbon, nitrogen element interstitial. One kind alloy steel pipe with both austenitic and ferrite taken about half of the component, in lower C, Cr content, Ni content. Some also contains Mo, Si, N and other alloy elements. It's called dual phase alloy pipe. The welded steel pipe and black steel pipe are also available. This kind of steel with the characters of austenite and ferrite body alloy steel pipe. Besides, it is “pitting corrosion”-proof, and it is plasticity and with higher toughnes.